Nano sized aquariums contain an amount of water that is between 3 gallons and 6.6 gallons and designed for enjoyment in small spaces, such as desktops and countertops where a larger aquarium may not be possible. For the aquascaper, the theme is to recreate a larger than life dynamic and careful choice of aquatic plants is necessary. 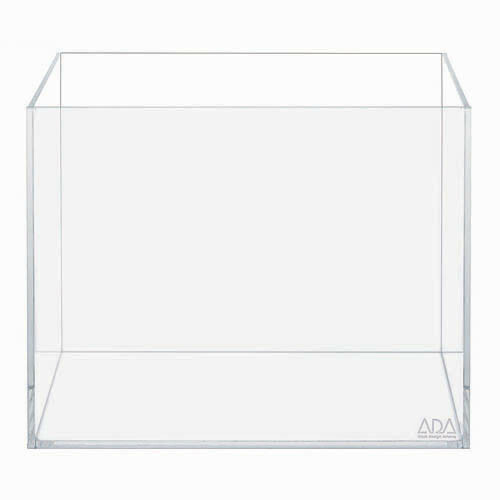 Cube Garden nano aquarium tanks are crafted using only the highest quality, low-iron content (high clarity) glass, meaning that there’s no green tinge or color pollution from the aquarium, which is common among normal aquariums. As with all of our aquariums, only a rimless design will do, because ultimately, we all only want an aquarium so we can enjoy what’s on the inside: beautiful fish and aquatic plants and anything blocking the aquascape is unnecessary to the design of the aquarium. Each nano-type Cube Garden brings a different appeal for the aquarist. The Mini S 3 gallon is crafted to have more height relative to the aquarium width, to provide an illusion of extra depth in the design, suiting itself particularly well for classic driftwood layouts and rock style iwagumi layouts where a single stone might be emphasized. The Mini M 5 gallon has extra depth relative to the aquarium’s height, which lends itself well for unzan stone designs and deeper driftwood layouts. Finally, the Cube Garden 30-C is a perfect cube aquarium, best for viewing from multiple angles.